Create a sleek, modern look for your spa or home with these essentials. These incredibly durable stainless steel items are easy to sanitize and 100% rust proof. Pyrex, durable and easily sterilized. 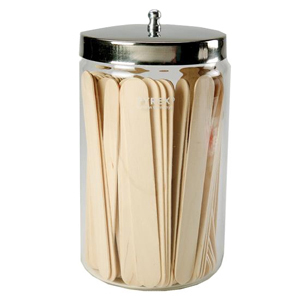 Multi-purpose jar with stainless steel lid holds a variety of amenities and looks terrific in the kitchen or bath. 4"W x 7"H.